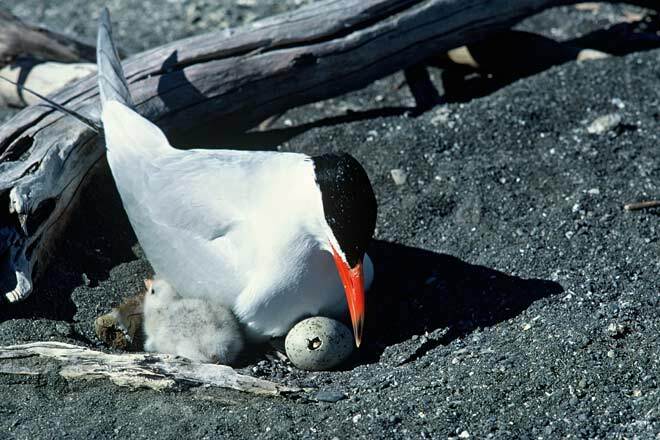 Caspian terns are the largest of the terns and have a distinctive bright-orange bill tipped with black. Their nests are unlined scrapes on sand or shingle. The chick in this egg is pipping – breaking through the shell with its egg tooth, a horny cap on top of its beak that will fall off in a day or two.